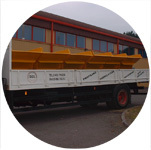 We manufacture a wide range of skips, standard tippers or luggers as well as a wide range of specials to suit specific customer requirements. 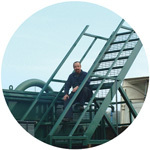 Circular, galvanised handrails for a silo top. 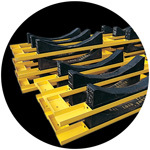 Coil Racks for the Steel Industry. 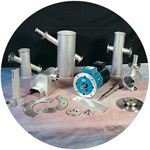 A range of small, stainless steel fabricated items. Tipper skips ready for despatch. 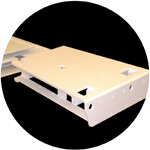 Fabrication for the Mining Industry. Work Station with Stainless Steel Covers. 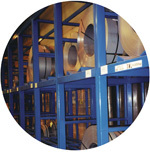 Coil rack storage system manufactured and installed. Ducting for the quarrying market.